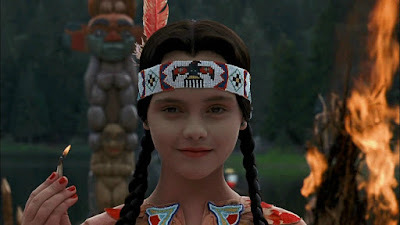 Addams Family Values abandons all pretense to the relatively tame spookiness and ookiness associated with the macabre clan's previous iterations. It's a surprisingly dark and nihilistic free-for-all, filled with violence, mayhem, and sick burns (both fiery and verbal). No taboo remains unbroken as Blythe Rudloff makes her long-awaited return to the podcast to salute this abnormally superior sequel and its stinging humor, and to explicate one of the laziest movie themes of all time. Whoomp! Here it is.